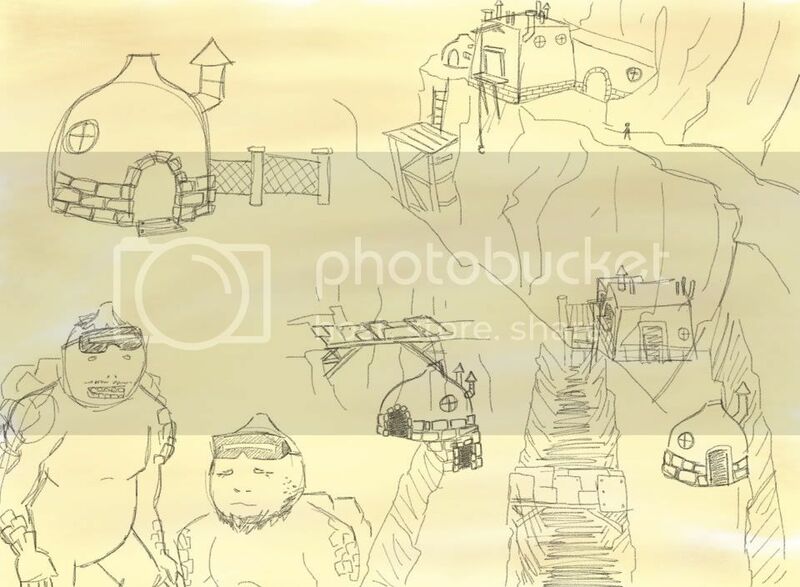 WouLdnt it be cool if they lived on a canyon instead of a cave. They mined down into the canyon, and their mines stretch off for miles around the fissure, searching for carbon veins. Ast one has a kind of diagram of how their system might work. They mine carbon ore, then raise it up to the top of the canyon to the furnace station, where the ore is dumped into the blast furnace. 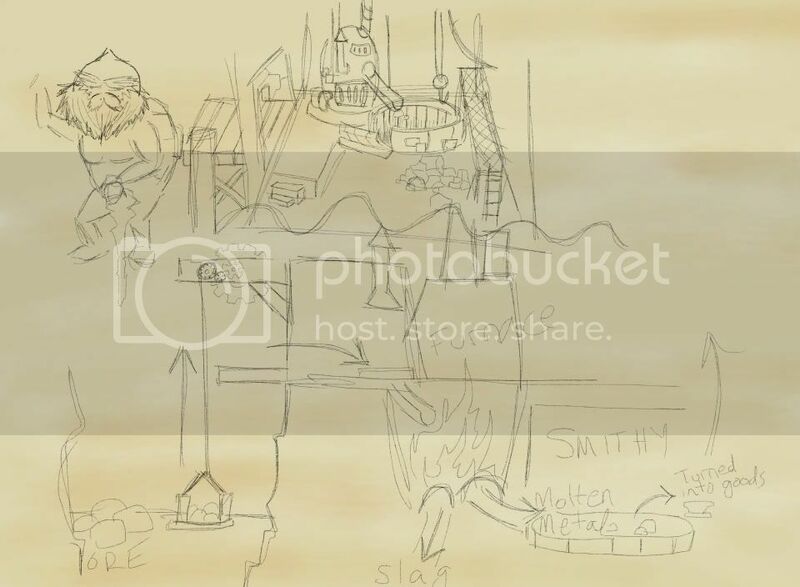 Then the slag (useless molten rock) would flow out one way, to be dumped somewhere, and the molten carbon would flow into their smithy to be shaped so it could be used and traded. 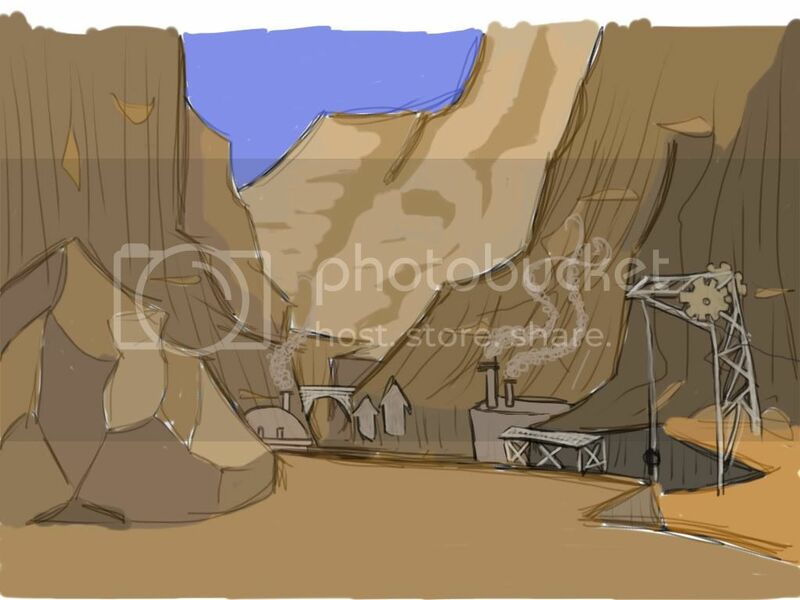 Max, I just want to say that I love the idea of the canyon, and your concept art is unbelievable!